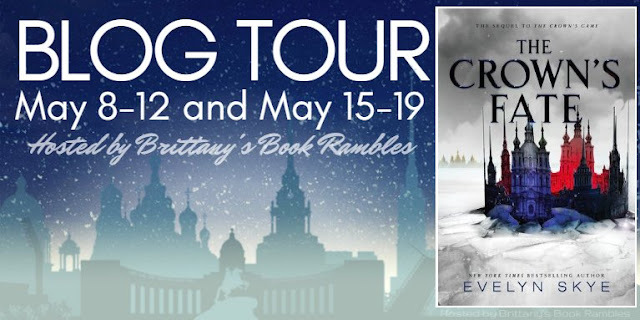 I am thrilled to be the first stop on the book tour for The Crown's Fate by Evelyn Skye, hosted by Brittany's Book Rambles! 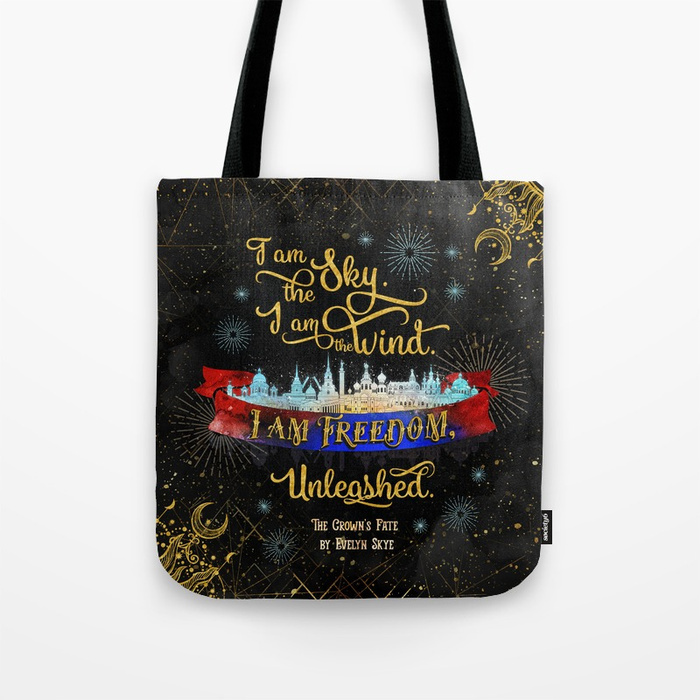 I have a special tote design to unveil for you guys today and I hope you will like it! But what was greatness? Was it constantly accepting second place? But hadn't they all changed? Life happened without permission, and it swept everyone along in its violent wake. We are not defined by what we can do, but by what we actually do. It's you that defines you. That's all the truth that there is. 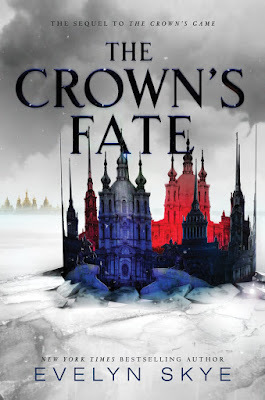 The Crown's Fate, the follow-up to The Crown's Game, was a thrilling and extremely readable conclusion to Evelyn Skye's magical and highly entertaining duology. I was surprised how wonderful it felt to be back in the world of Nikolai, Vika, Pasha and Renata -- I missed those characters a lot and I just couldn't wait to see how this intrigue-filled fantasy would end. And I'm very happy to report that The Crown's Fate did not disappoint! Now, if you haven't yet read The Crown's Game (and you're planning to), it's probably best to stop reading my review now, for there inevitably will be some spoilers! The Crown's Fate picks up shortly after the Game ended. Vika is now the Imperial Enchanter, Pasha is about to become Tsar and Nikolai is gone.. though, not entirely. Nothing is as it should be, though. Pasha is torn and full of regrets --forcing the Game's end weighs heavily on his conscience. He blames himself for Nikolai's "death" and is having trouble coming to terms with his new reality. Vika isn't in a better place herself. Though winning the Game made her dream of becoming the Imperial Enchanter come true, she is now bound to serve Pasha, whom she despises (well, despises may be a strong word to describe how she feels, let's say she has a hard time forgiving him for forcing the Game's end). And to make matters worse, a bracelet appeared on her wrist that will burn her skin if she ever disobeys Tsarevich's orders. I don't want to give too much of the plot away, but let me just say this: I was surprised by some of the plot developments and quite shocked because of others. The Crown's Fate was much darker and murkier than the previous book. The Crown's Fate was filled to the brim with beautiful magic - the Game itself forcing the Enchanters to conjure stunning and wondrous things as they competed each other. And even though we did witness actual duels and the blood was spilled, the first book never got as dark and gloomy as the Crown's Fate. In fact, for the majority of the sequel I had this overwhelmingly bad feeling and I felt.. well, sad. And that's because we - the readers - see the whole picture and understand certain things the characters themselves don't realize until it's too late. 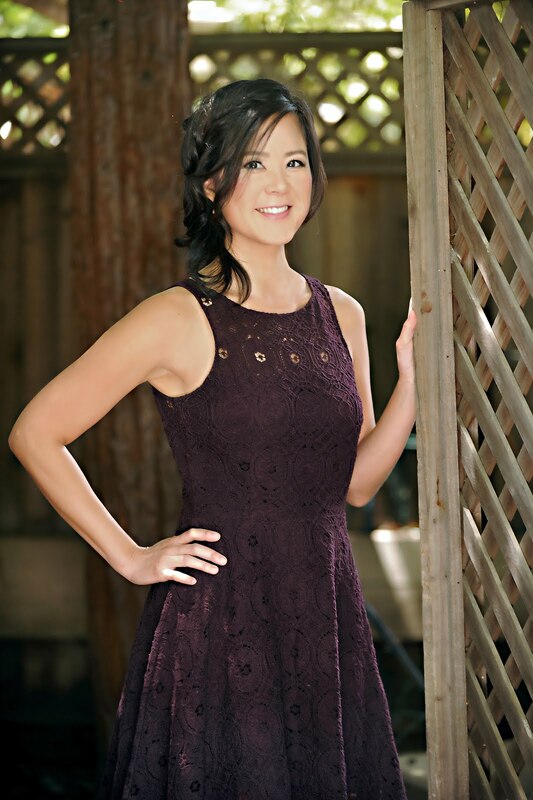 We see them lost, confused and fighting their internal battles (and often losing them, too). And it's all quite tragic, to be honest. I really liked the way the book was plotted, though. I couldn't put it down. Things were happening very fast, characters were being killed off left and right, and the story was getting more and more intense by the second, leading up to the breath-taking conclusion. 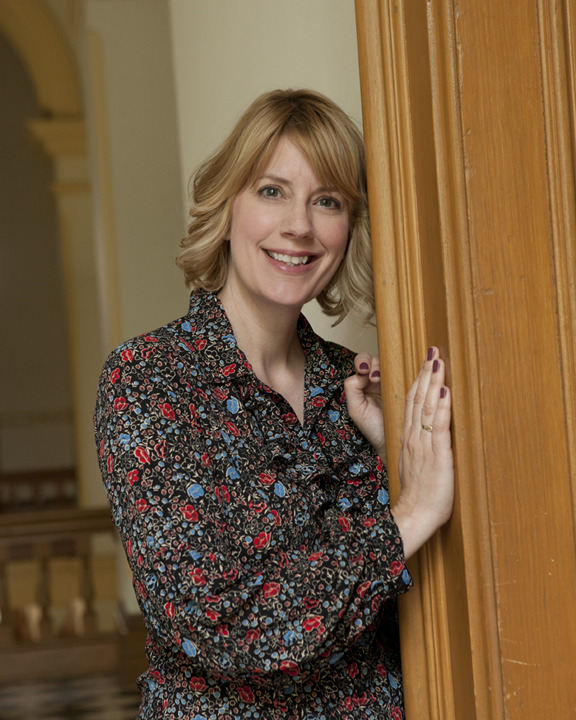 Evelyn Skye did a marvelous job making the characters feel real and three-dimensional. Even Aizhana! I actually felt bad for her. I felt bad for all of them. They were all complex and with great back-stories, that made them feel very human, and made it hard for me to simply hate them for their bad, misguided decisions. There's not a single character that is simply bad, or evil. They're all tragic. Sure, they make bad decisions, they act on emotions, they are sometimes driven by all the wrong things (revenge, hurt, betrayal, jealousy), but we always see why they do the things they do, even if they don't yet see that themselves. Overall, I really enjoyed this series as a whole and wish there was more. I am going to miss this world and these characters. I'm going to miss the stubborn and untameable Vika and the mysterious, charming Nikolai. At the same time, I wouldn't add anything more to this story, as it is perfect just the way it is.